Tens of Iranian pilgrims are reportedly still missing following a deadly crush during Hajj rituals near Mecca, Saudi Arabia, Press TV reports. 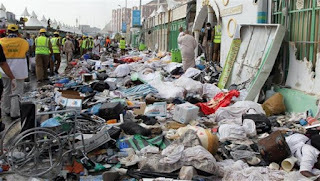 The incident occurred on Thursday in Mina, near Mecca, after huge pilgrim processions were joined in their course, leading to the catastrophic entanglement. It has been reported that the convoy of Prince Mohammad bin Salman Al Saud, the son of Saudi King Salman bin Abdulaziz Al Saud, had arrived at the site, forcing the pilgrims to change their original directions. Iran’s Hajj and Pilgrimage Organization says the tragic incident claimed the lives of more than 1,300 people, including 131 Iranians. Saudi officials, however, put the death toll at 717. Saeed Ohadi, the head of Iran's Hajj and Pilgrimage Organization, released the Iranian death toll on Thursday night, adding that the number of the fatalities could rise. Meanwhile, eyewitnesses have said that injured pilgrims are not receiving adequate medical care in Saudi hospitals and medical centers. An Iranian survivor, meanwhile, told Press TV that Saudi officials had been slow in responding to the emergency situation. 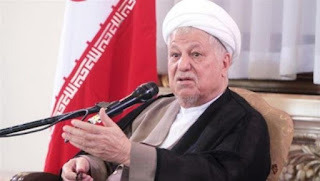 Senior Iranian official Ayatollah Akbar Hashemi Rafsanjani has held the Saudi government accountable for a recent deadly crush during Hajj rituals near the holy city of Mecca, which led to the deaths of several hundred people. The chairman of Iran’s Expediency Council said in a message on Friday “The officials in the Saudi government in charge of maintaining order in this huge ritual are responsible for the incident and should be answerable to the Islamic world”. The senior cleric extended his condolences to Muslims and the bereaved families of the victims over the deadly tragedy, which he said has brought grief upon the Islamic world, and hoped that those injured in the incident would recover soon. According to Saudi officials, at least 717 pilgrims lost their lives in an overcrowding outside Mecca. Iran’s Hajj and Pilgrimage Organization has, however, has put the death toll at more than 1,300, which also includes 131 Iranians. Army forces in Syria have flushed foreign-backed militants out of the routes linking the capital, Damascus, to the western city of Homs. 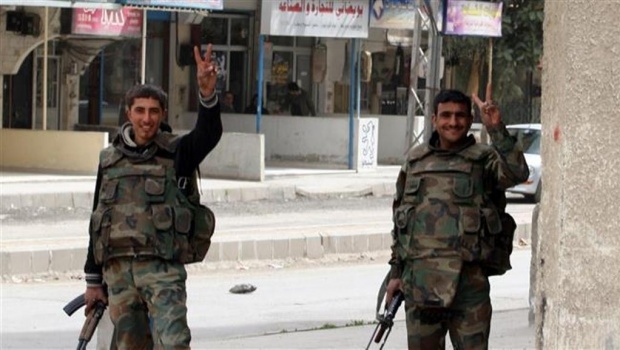 The official Syrian Arab News Agency (SANA) reported that the Syrian troops established control over the hills overlooking the Eastern Ghouta region east of Damascus after eliminating the members of the so-called Jaish al-Islam terrorist group and destroying their weapons and ammunition. The militants had cut off the supply routes by taking control of the top hills. Army forces also carried out several operations in the city of Harasta, likewise located in the capital’s suburbs. Scores of terrorists were killed and dozens more fled during the operations in the two areas. The forces also killed more than 120 terrorists, mostly belonging to the al-Qaeda-lined al-Nusra Front and the Takfiri ISIL terrorist group in Aleppo Province in the northwest. The conflict in Syria is in its fifth year. It has reportedly claimed more than 240,000 lives up until now. The United Nations (UN) says the militancy has displaced more than 7.2 million Syrians internally, and compelled over four million others to take refuge in neighboring countries, including Jordan and Lebanon. 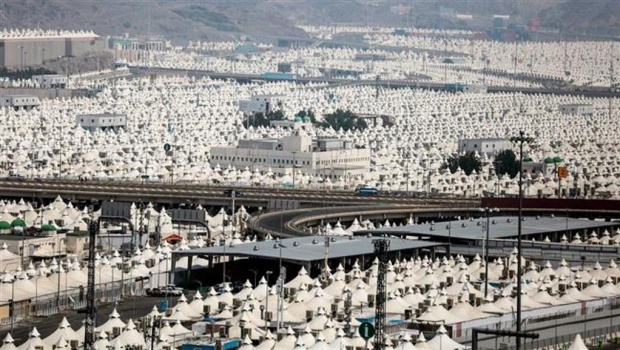 A tent housing a number of Egyptian pilgrims in the Saudi city of Mina has reportedly caught fire, in yet another deadly tragedy to hit Hajj pilgrims this year. Arabic-language Egyptian daily al-Youm al-Sabe' reported that the tent went up in flames on Friday after fire from an adjacent kitchen spread to it, causing the eight panicked Egyptian women inside to run out screaming in terror. The report added that eight fire trucks quickly rushed to the site, and fire fighters extinguished the blaze in a short while. There were no immediate reports of casualties and the extent of damage inflicted in the aftermath of the mishap. 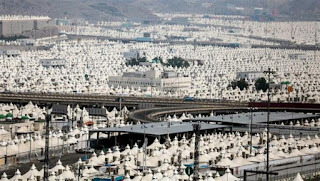 The incident happened only a day after a deadly stampede broke out in Mina, located about five kilometers (three miles) east of the holy city of Mecca, as large numbers of pilgrims were on their way to participate in the symbolic stoning of Satan, a Hajj ritual. 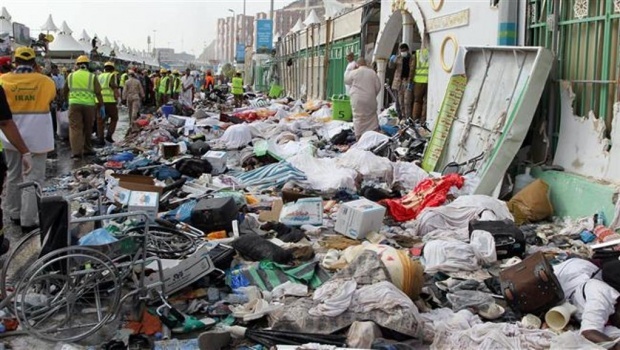 Tehran’s interim Friday Prayers leader, Ayatollah Mohammad Emami Kashani, has said the Al-e-Saud regime in Saudi Arabia, is responsible for the deplorable tragedy in Mina, which resulted in thousands of Hajj pilgrims losing their lives. Addressing a huge crowd of Friday Prayers worshippers and the faithful in Tehran, Ayatollah Mohammad Emami Kashani said mismanagement and incompetence of the Saudi authorities is the main reason for yesterday’s tragedy in Mina. He added: “The world of Islam does not accept the mismanagement and mishandling of this year’s Hajj pilgrimage by Saudi authorities”. Tehran’s interim Friday Prayers leader went on to express his condolences to the Islamic Ummah, and urged Islamic countries to lodge complaints at international courts of law, in order to bring to justice negligent Saudi officials responsible for the disaster. In further remarks, Ayatollah Emami Kashani suggested that the Organization of Islamic Cooperation (OIC) should be given the task of administering and managing the annual Hajj pilgrimage every year. He said: “All member states of the OIC should have the right to participate and contribute in the management of the Hajj”. Latest reports from Saudi Arabia suggest that more than 1300 pilgrims lost their lives during Thursday morning’s “stoning of the devil” ritual in the plain of Mina, near Mecca, Saudi Arabia. At least, 131 Iranian pilgrims lost their lives in this tragedy. 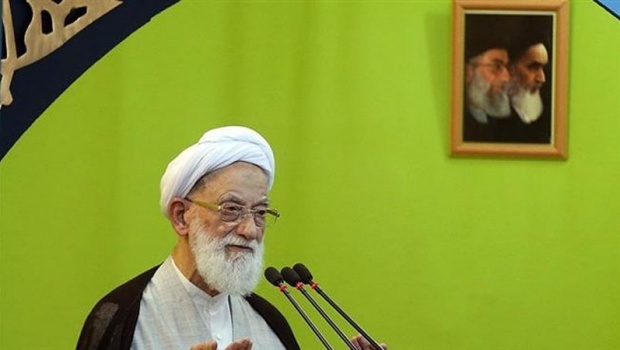 Elsewhere in his remarks, Tehran’s interim Friday Prayers leader referred to Saudi Arabia’s support and training of terrorist groups, such as the notorious ISIL. Ayatollah Emami Kashani pointedly added: “The Al-e-Saud regime seems to be focused on killing innocent Yemenis, and continuing with its military aggression in Yemen”. In another part of his speech, Ayatollah Emami Kashani discussed the Iranian nations’ eight years of sacred defense, and said the prestige and dignity of the Islamic Republic of Iran today is hugely indebted to the many sacrifices and staunch resilience shown by the Iranian nation, in relation to enemy plots and schemes, during those fateful years.